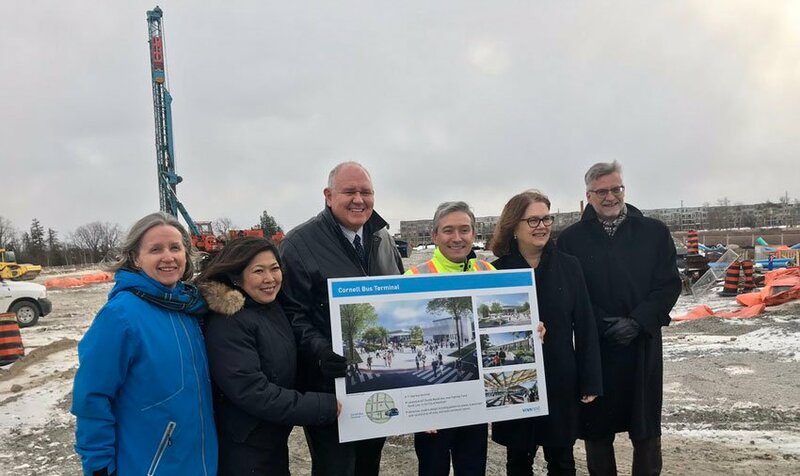 On Feb. 8, Markham Mayor Frank Scarpitti joined François-Philippe Champagne, federal infrastructure and communities minister, to celebrate the progress of GTA transit infrastructure with a stop at the site of the future Cornell bus terminal, next to Markham Stouffville Hospital. The new 11-bay terminal is expected to open by the end of this year. The Government of Canada contributed $10.4 million with Ontario ($10.8 million) and York Region ($15.6 million) kicking in the balance for the $36.8 million project. “These investments result in better transit systems that shorten commuting times and give Canadians more quality time with their families,” said Champagne, in a news release. The federal Investing in Canada plan is providing more than $180 billion over 12 years for public infrastructure across the country. In partnership with Ontario and municipal leaders, the Government of Canada is investing in public transit; green infrastructure such as water systems; community, culture and recreational infrastructure; and public infrastructure in rural and northern communities. Through the Public Transit Infrastructure Fund, Ontario has been able to purchase or upgrade more than 5,400 public transit vehicles, more than 12,000 new or improved bus stops and shelters, and build 128 kilometers of active transportation trails. 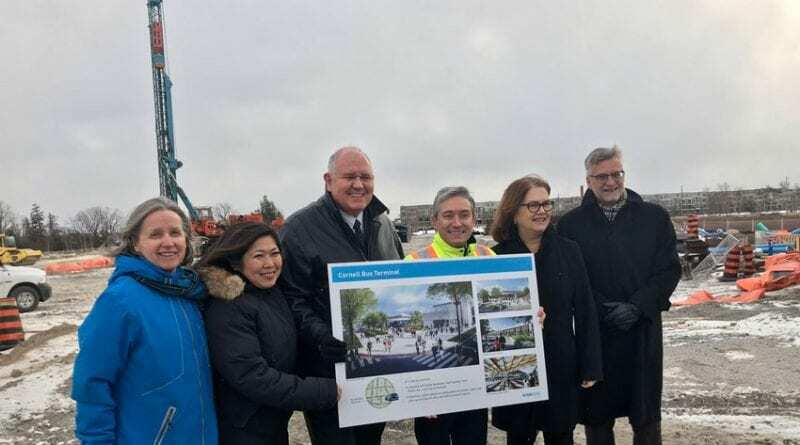 Photo, courtesy of the City of Markham: (l-r) Mary-Frances Turner, York Region Rapid Transit president; Mary Ng, Markham-Thornhill MP; Markham Mayor Frank Scarpitti; François-Philippe Champagne, federal infrastructure and communities minister; Jane Philpott, Markham-Stouffville MP; and Andrew Keyes, Markham Ward 6 councillor.